The Big One brought out a big crowd. 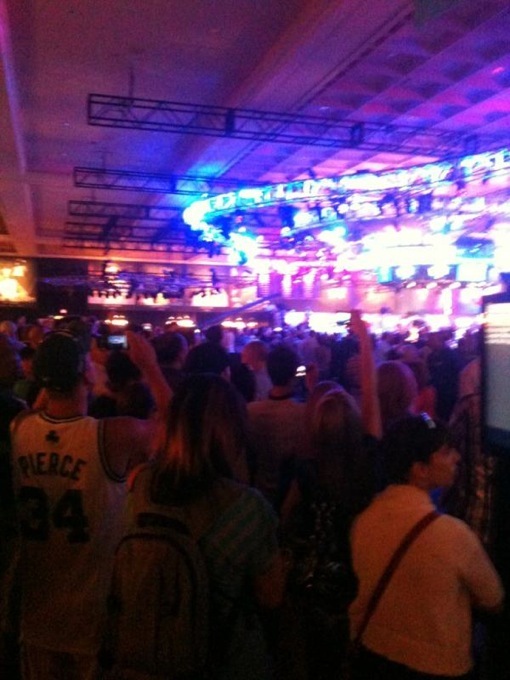 We’ve been covering the WSOP at the Rio since 2005. The start of Sunday’s The Big One–the $1M Project OneDrop event–had the biggest crowd and best production we’ve ever seen at the WSOP. The field of 48 is, as of post-time (3:20pm PT Monday) down to 25. 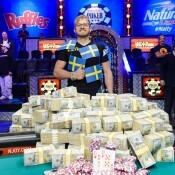 Brian Rast continues to lead the event, stacked at 10,285,000. He’s followed by Richard Yong (10,120,000). Event founder/coordinator Guy Laliberté is third (9,700,000). 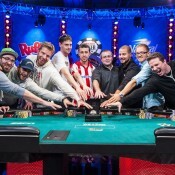 Phil Hellmuth is fourth; Antonio Esfandiari fifth (9,205,000); and Jason Mercier is sixth (8,700,000). Phil Ivey and Daniel Negreanu have both been eliminated today.